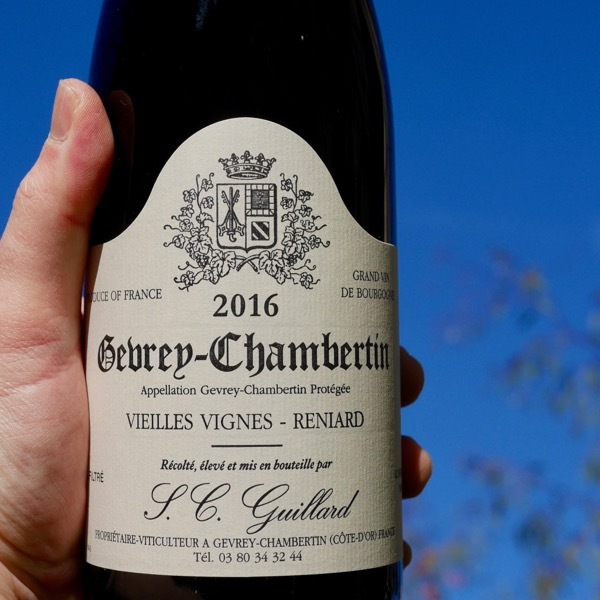 Guillard’s 2016s demonstrate just how good wine can be when exceptional fruit is combined with a long history of precise winemaking. Across the range these are just beautiful Gevrey’s. Sophisticated, silky with hallmark concentration of fruit! Those who have tried his wines previously need no introduction! Tom, who with his partner Nadege imports the wine, found the Domaine by accident in 1992 when he did his first vintage in Burgundy and we have been going back regularly since then. Sometimes they were lucky enough to find Michel in his cellar and have managed to buy some wine, sometimes not. After many years of buying his wines, they managed to convince Mr Guillard to let us import a few bottles in Australia. Finally, Michel and his sister Odette, upon retirement of their parents, took over in 1979. Both generations added slowly to the estate, but Michel speaks with great admiration and devotion about his dedicated grandmother who has been able, by pure hard work and determination to be a landowner, in what would have been an unusual occurrence in those days, a house cleaner buying a vineyard in one of the most sought after village of Burgundy! The honesty of the Guillard wines is striking. The fruit has serious depth and length, the tannins great quality. When young, they can appear very tightly wound. The 2014 Vielles-Vignes Aux Corvée took 6 months to open up. On release it was tight and lean now it’s starting to deliver an earthy opulent fruit and the acid is balanced long and fine, definitely some classic Gevrey characters coming through. The concentration is exceptional. Great density and length of fruit I can see now why they are happy with the perceived higher acid when the wine is younger. As the wine has settled the acid is helping to tame the incredible richness of some superb fruit, bringing the wine into balance as it matures gracefully. 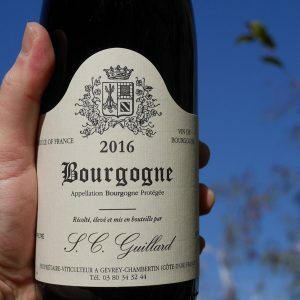 The 2015’s were another superb effort by Guillard, with hallmark mouthfeel, opulence, and, purity. His ability to tames the incredible concentration in these wines and offer an elegant expression is impressive. A very tough year for many in Burgundy particularly in the Côte du Beaune, where frost left many vineyards devasted. Guillard was fortunate all of his vineyards remained untouched by Jack Frost! He reports that he is happy with his 16’s than his 15’s. Now that is saying something! 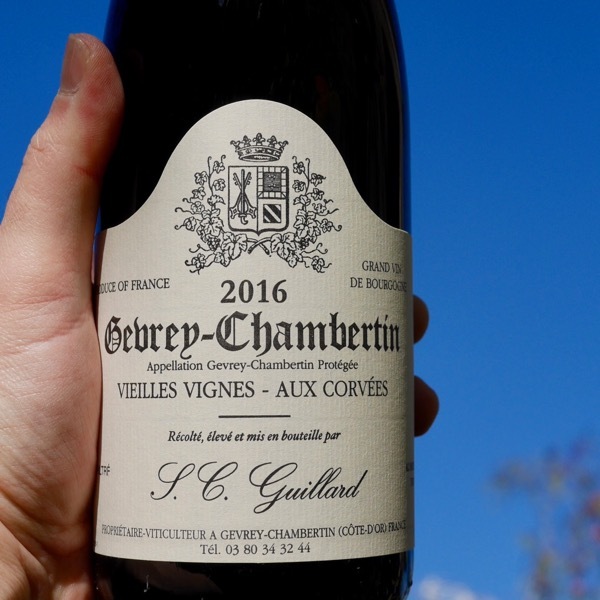 Reports indicate that they are very plush and silky with excellent purity, and, as usual with Guillard, plenty of concentration as well. Having now tasted the 2016’s I’m happy to confirm this to be true! There’s a debate around which vintage will reign supreme. In 10 years we’ll do a 2015 vs 2016 smackdown. The 2016’s have an immediate harmony, youthful, vibrant, showing class and superb mouthfeel. As you jump through the range there are obvious jumps in quality as you shift from Bourgogne, to Village, and, finally to the superb 1er Cru’s. They’re just so sophisticated. After several hours in glass their expression was shinning through beautifully. As always be patient and you will be rewarded. Our ageing guidelines can be found in the reviews at the end of the offer. Having tasted many negociant wines of late, the benefit of continuity in a vineyard and winery, is clear. Such together wines. Allen Meadows, the worlds leading authority on Burgundy. So, as with every vintage, the two questions for you as consumers that take precedence over everything else always are: should I buy the wines and if so, how much of them? The best wines are wonderfully refreshing, transparent and graceful with moderately firm tannic spines where the all-important element of balance is supplemented by good but not high acidities. They are balanced wines built for medium to sometimes longer-term aging yet they should also be reasonably approachable young if youthful fruit is your preference. Before I offer more detail, the short answer is yes on both accounts that the 2016s deserve a place in your cellars and there is no reason not to go heavy – I for one will be buying all that I can afford and find. 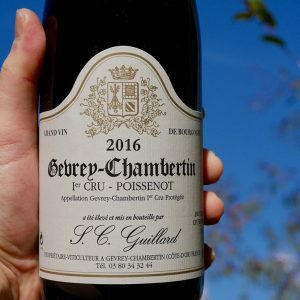 More specifically, there are two aspects that I absolutely love about the 2016s which are those of the crystalline transparency to the underlying terroirs coupled with their refreshing drinkability. One just feels like drinking the 2016s, in fact it’s hard not to like them. Part of this appeal is due to the generally softer approach to extraction that many growers elected to use. As such most 2016s have relatively fine-grained tannins which should also help them to be reasonably accessible young. This is partially because the tannins are generally fully mature and partially because there is an excellent level of tannin-buffering dry extract that tends to render them less prominent at this early stage. Another reason is because the generally thicker skins of the grapes together with the generally smaller berry sizes made many growers opt for using fewer punch downs to avoid producing overly extracted wines. On the less positive side, one of the factors that negatively affected wine quality at some domaines was simply vinifying such small quantities. To be sure this is not unusual in Burgundy and some growers are used to this fact of life but most aren’t and thus there are a few wines that reflect either too much, or too little, extraction. As to longevity, the average upper level 2016 is built for mid-to occasionally longer-term (and in some cases, very long-term) cellaring. With that said, and as I also noted, many wines will very likely drink well on the younger side. To provide some basis of comparison, I would (again, as a broad-brush generalization) describe the average 2015 as aging on a base of sheer concentration and tannic density whereas the typical 2016 will age on a base of balance and measured extraction. But it’s important to bear in mind that the average 2016 is a bit suppler because the phenolically mature tannins are finer and more pliant. Guillards 1er Cru’s are rest adjacent to Mazi in the case of Corbeaux and Clos-Saint-Jacques in the case of Lavaux and Poissenot. *Stocks of the Premier Crus are extremely limited. First come, first served. Wines are available for immediate delivery. Old vine depth & persistence. There is lovely perfume lift and a purity of fruit. The palate is beautifully balanced and finely structured. An immediate step up, quite linear for a Gevrey, elegant and poised with such fine long silky tannins, the mouthfeel of this and all Guillard’s 2016’s gives such pleasure. Tightly wound at the moment I can’t wait to see this in 5 years & then do a side by side with the 2015’s in 10 years. I get the feeling it’s going to be a hard call of which are better. These may just pip the 15’s on harmony and sophistication. Drink 2025-2035. Benchmark Villages Gevrey. Layers of concentrated fruit and a refined texture this is a superb effort full of personality! This is excellent, When you shift from the Bourgogne to the Village wines there’s an jump in fruit length and depth, the tannins length and become silkier. Hit the Corbeaux and additional layers get added to the fruit and tannins, the refinement of both is obvious the concentration and length of fruit jumps to a level exceeding the bump in price. This is exception Gevrey. Sings now, will be delicious in 5 years and epic in a decade. Drink 2028-2045. ‘Poissenot’ is situated above Lavaux St Jacques on the northern ridge of Gevrey. The Lavaux is situated below Poissenot and next to Clos Saint Jacques. 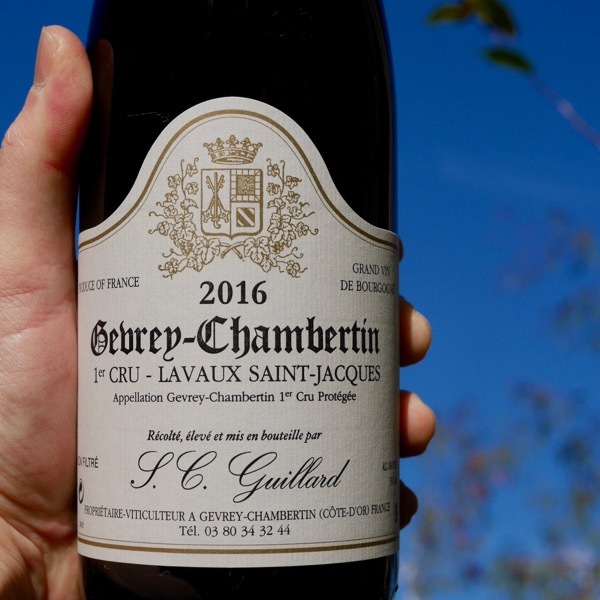 This Lavaux is a superb effort, a complex array of red and dark fruits, wild strawberry, raspberry, cassis, liqorice and an exquisite deeply scented fragrant lift. The aromas of this wine are captivating. The palate is superbly structured with layers and layers of the silkiest tannins one could imagine that coat your mouth and resonate for minutes, the length prodigious. A classic. 2030-2050.